Are you looking for the best Nutley roof installation contractor to install a new roof on your Nutley home? If your roof needs to be replaced, it can be difficult to find the right roofer for the project. Friends and neighbors are not always the best source of information, and if you are new to the Nutley area, you may not know which roof contractors provide the highest quality work. Being in the roofing field for over 25 years, I can assure you of one thing: There’s no shortage of bad roofer stories…Everybody has had a negative experience at least once. When searching for the perfect Nutley roof installation contractor for your project, a good place to start is online. There are many great business directory websites where customers can leave reviews. Websites like Yelp or and the BBB are a some solid places to start looking, but to really ensure that you hire the right company, you will need to do some serious digging. There are many scam artists out there. It isn’t much of a secret that the roofing industry is full of unqualified people falsely identifying as roofers. These people are usually out to make a quick buck and love to take advantage of homeowners trying to save money. For this reason, it’s important to be very careful when hiring a roofer. Always contact customer references, ask detailed questions and seek out insurance and license documentation. Don’t let any roofer convince you that it is ok to shingle more than 2 layers. This is called reroofing and it involves layering new shingles on top of the old worn out shingles. This reinforces the strength of the roof and can add life to a worn out roof, however, it can only be done ONCE! If a roofer recommends adding more than 2 layers of shingles to you roof, then he isn’t interested in doing a satisfactory job for you. This is because reroofing doesn’t involve ripping off the original layer of shingles and there is absolutely no way to know what condition the wooden deck underneath is in. 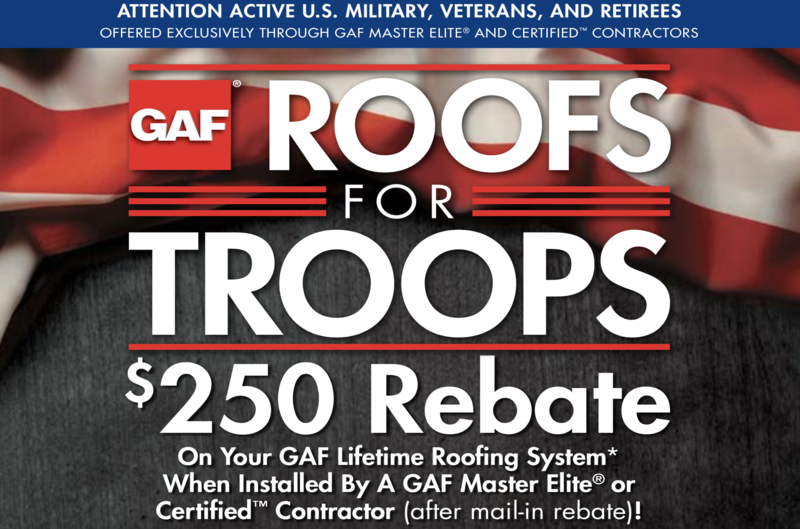 Don’t be temped to save a few dollars with reroofing because it could really cost you in the future. A good Nutley NJ roof installation contractor will always check to see if there are any problems with the wood under the shingles. Sometimes rot, mold or other damages can remain hidden under what looks like a normal roof. If the the wood is in good condition, it can be reshingled without any problems. However depending on the damage to the wood, you may need to take further steps before simple nailing new shingles to the roof. Before you hire a roofer, ask to see proof of the two types of insurance required by the state of NJ. They need to have both worker’s compensation insurance and liability insurance. If they don’t have both of these, you could end up being legally responsible to pay for medical bills, property or both! Worker’s compensation insurance covers the medical costs of roofing employees who get hurt on the job. Accidents do happen, and unfortunately, there are many so called “contractors” who would rather take a risk than spend money on insurance. Instead of following the law, they just take their chances hoping that everything will be ok. If anything happens to an uninsured employee, you may find yourself having to pay for any medical costs accrued from an injury that happened on your property. Liability insurance will cover any damage that occurs to your property during the roofing project. If an uninsured roofer damages your roof, house or other property, you will be the one paying for repairs. Don’t get stuck paying thousands of dollars more than what you originally planned because the roofer you hired is not properly insured! Even if a company tells you that they have both types of insurance, ask for physical proof along with the proposal. Asking for proof of insurance is often overlooked by homeowners, but it is better to be safe than sorry! Be sure to inquire of the contractor to determine whether they use their employees on the job or hire out to sub contractors. Roofing contractors are known to hire subcontractors in order to handle taking on many jobs at the same time. Unfortunately, there is no way to assess the experience and skill level of these suncontractors. Don’t get stuck paying more for sub-par work because the company hired sub-par subcontractors. Companies that are transparent about their use of subcontractors usually offer a lower quote price, but be forewarned: You will never know the subcontractor’s history, you will never know their skill level and most importantly, you will never know if they are insured! Deegan Roofing, Has been providing Nutley roof installation, Clifton roof installation and other roofing services to the North Jersey area for well over 2 decades. Deegan Roofing has served countless homeowners over the years, and we is always happy to work with both new and existing customers. As one of the largest family owned and operated roofing contractors in NJ, Deegan Roofing always places a high importance on providing outstanding work, using quality materials and exceeding their customer’s expectations. Not only do we offer Nutley roof installation, but we also serve Fanwood, Clark, Westfield, Edison, Warren, Cranford, Clifton, Wayne, Paramus, and many, many more. Contact us today to set up a consultation!